Perrier has expanded its flavoured carbonated mineral water portfolio with the addition of new peach flavour. Credit: Perrier. 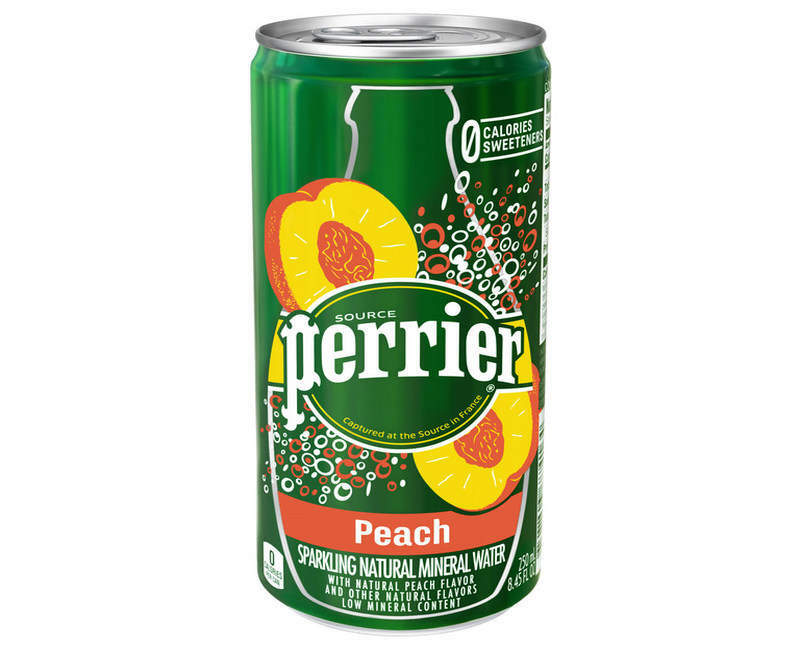 French bottled water brand Perrier has expanded its flavoured carbonated mineral water portfolio with the addition of a new peach flavour in the US. Perrier claims its new peach carbonated mineral water is sugar-free, has zero calories and contains no artificial flavours. The new drink will join Perrier’s existing flavoured water line-up, which includes lime, strawberry, watermelon, orange, pink grapefruit and plain. Perrier International Brands vice-president and general manager Grant McKenzie said: “After introducing strawberry and watermelon flavours last year, we’re thrilled to continue to expand our flavour portfolio with the introduction of Perrier Peach. Perrier Peach will be packaged in 8.45fl.oz. slim cans and 16.9fl.oz. PET bottles, making it ideal for on-the-go consumption. A pack of ten 8.45fl.oz. slim cans will be priced at $6.95. The product will be available in selected US retailers and for home and office delivery through ReadyRefresh.com. Perrier says its sparkling water products can be consumed alone or in cocktails. All of the brand’s beverages are available in plastic bottles and slim cans, and the plain variant is also available in a glass bottle.